Tianlein outlines exactly what you need to do in order to acquire the adorably squishy Swamp Jelly pet and Murkmire Grave Stake memento! You can find more of Tianlein’s guides, including this one on how to acquire an Indrik mount, on her YouTube Channel. Get the most out of Murkmire with Shimmer’s quick-and-easy guide to all its Skyshard locations! Check out more guides and previews on Shimmer’s YouTube Channel. If you’re looking to 100% the new zone, Dulfy’s guide outlines all the new quests, achievements, and collectibles you can acquire in Murkmire. Find a host of detailed ESO guides on Dulfy’s website. Hack outlines five different methods for maximizing your leveling from 1-50 in the most enjoyable ways possible. Enjoy more guides and builds on Hack’s YouTube Channel. Alcast breaks down how to tackle Murkmire’s toughest challenge with this detailed guide into Blackrose Prison. Discover additional guides and builds on Alcast’s YouTube Channel and website. Get the most out of your DPS with this in-depth guide that covers gear, damage sources, and rotations. Don’t hesitate to check out Fextralife’s other ESO guides on their website. Learn what’s next for your character when you finally hit level 50 with this simple guide to ESO’s end-game content. 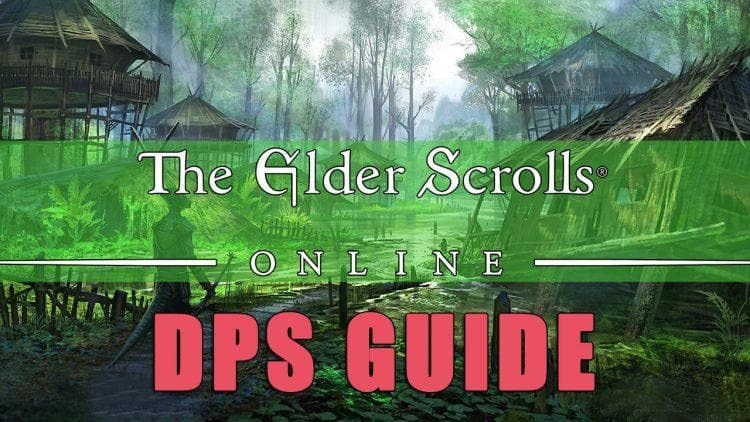 For more ESO guides, check out LemonSauce’s YouTube Channel. Sinker outlines his Stamblade changes with Murkmire, including the use of a two-handed maul to help deal with those heavy armor builds. You can find addition ESO builds and more on Sinker’s YouTube Channel. Kristofer showcases a community-made, hard-hitting Stam Sorc build designed to get into your opponents face in open-world PvP. Check our more from Kristofer on his YouTube Channel. With the above guides and builds, you can explore Murkmire with confidence, but this is just a small sample of some of the amazing videos and articles the ESO community creates each month. Have you seen a kickass new guide or build that you think the community would love? Let us know about it via Twitter @TESOnline and Facebook! The Murkmire DLC game pack is now available on PC/Mac and will arrive on November 6 for PlayStation®4 and Xbox One.